Ghost. The name of a man who is known for his ability to do the impossible. Of course, a hitman of his caliber is hard to find and his skills doesn't come cheap. Ghost has trained himself to be cold. A necessity when eliminating his victims. Take a job, complete it, get paid. Nothing more. Do as you're told. He has been successful with every hit he was assigned. 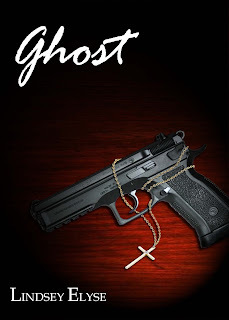 When living in this hellhole some call a town, a man finds him and asks Ghost for his services. Accepted. First target, a girl. Heiress to the White family. Easy. A simple hit. This girl, that when he puts the gun to her head, intrigues him more than she should. He hesitates. What to do? Follow orders? Or take the first step down a road that could destroy him? Ghost knows he should pull the trigger. If he does, it's over. If not, he'll be stuck with her, especially if he wants his money. Money sounds good. So what happens when the cold-blooded hitman is stuck in his small apartment over the restaurant he works, where he hides his true identity? Certainly it'll be a quiet night. Anna won't cause too much trouble. Right?